Bogor Agricultural University is my home Institution which I joined as a teaching staff in 1961. 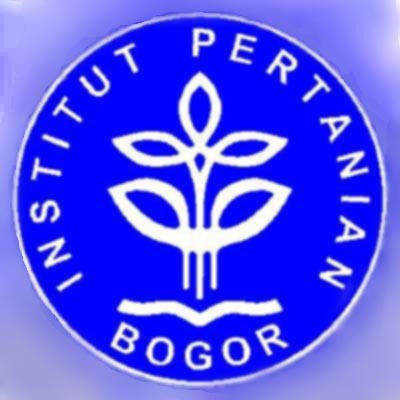 This institution which is known as Institut Pertanian Bogor (IPB), literally Bogor Agricultural Institute, is located in Bogor, West Java, Indonesia, about 40 miles south of the capital Jakarta, where I served three terms as dean of the Faculty of Forestry in the 60s and 70s. I teach in several graduate schools in Indonesia. The courses I teach are among others, Human Resource Management, Population Dynamics aspect of Ecology, Natural Resource Management and Science Philosophy. I also teach at Krida Wacana Christian University (UKRIDA) in Jakarta in which I was President during the period of 1991-2000, and The University of the Philippines, Manila (Graduate School, Management, Bina Mulya Program). In the past I was involved in the human resource development in our easternmost region, Papua, where I served as President of Universitas Cenderawasih (1978 - 1988) in Jayapura (Numbai) and Manokwari. The Manokwari campus has evolved into University of Papua in 2000. This homepage serves as communication media for my coleagues and students in the institutions where I am and were involved. For this reason, most of the information are presented in Indonesian. Here we post seminar papers, models, and other articles related to teaching, that contribute to the development of Indonesia and the advancement of science and technology --as well as links to our subject of interest. This picture was taken at the United Nations Head Office, New York in 1997. 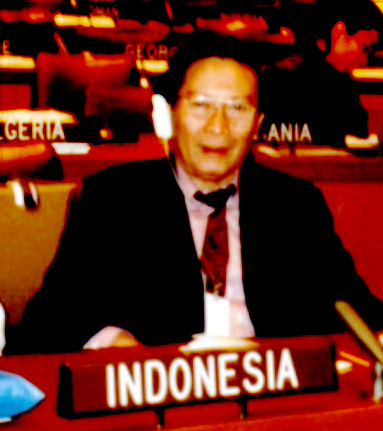 I was in the Indonesian delegation to the United Nation's Intergovernmental Panel on Forests (IPF) IV, 11 - 22 February 1997, and ithe UN Conference on Sustainable Development, New York, 11 - 29 April 1995. This is the page for my IPB graduate students who take Science Philosophy course PPs 702. Here, from time to time we post student term papers and seminar articles. Since the first semester of the last academic year 2000/01, over 350 graduate students have enrolled and at present semester I have over 100 students taking the course. "man lives to educate man"
[Minahasan philosopher, educator and national hero].